Turning the world into a global village, the Internet enables businesses to explore new opportunities and new markets. However, despite being universal and cosmopolitan, they can’t overlook the need to have a local essence on their website, and what could better impart that characteristic other than its native language. Entertaining a wide range of modules, Drupal 7 enables web developers to build highly customized and flexible CMS (content management system) that business needs today to keep their website abuzz with fresh content. However, it was seriously lagging regarding multilingual support. Eventually, the Drupal community paid attention to it, and Drupal 8 has come up with custom or contributed modules with built-in language support. 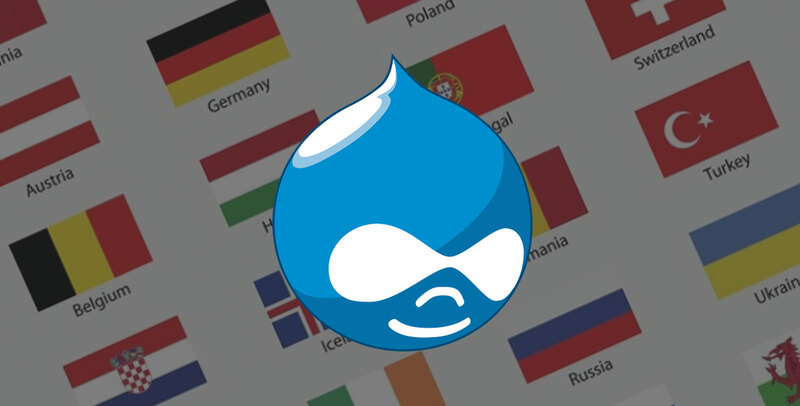 So, you can take your business globally anywhere with the right Drupal development services. Here is how you can leverage this multi-lingual support capability and pave your path of localization to drive user-engagement and grow your business. How well do you know your site? Most of the times in the quest of beating deadlines, Drupal developers don’t pay attention to its composition. Look into the scope and complexity of customizations, nodes, fields, and modules available with your site. This will let you have an estimate of the size and scope of your multilingual prep. Let’s be honest though, most of us will never really know our sites completely. Are your base and sub-themes multilingual ready? If they aren’t, take refuge of themes like Zen and BootStrap3. While choosing the theme, make sure that strings are wrapped in a t() function. Your website might have different types of content - from legal pages to service pages to portfolio to testimonials, and much more, so get acquainted with the nodes under which they are organized. The translation complexity increases as the number of content types increases. The challenges increase further with the inclusion of more languages. Try configuring the node language settings as per your business needs. If they aren’t set up correctly, it your users might complain about having accessibility issues. Don’t overwhelm your website with too many modules than required as that can spoil the functionality of the translation. Special attention must be paid while leveraging contributed modules. Not just limit the module usage, but also code review custom modules to ensure all strings are appropriately wrapped in t() functions. The checklist above has got the basic steps that your Drupal developer must follow while working with any contributed or custom modules. However, in the beginning, you must pick modules that are designed to deliver the multilingual experience. If you don’t have any in-house team to make it happen, you can approach us; we are a Drupal consulting and development company with 14+ years of in-depth experience.